Published by R. Talsorian Games. "The anime and manga newsletter." 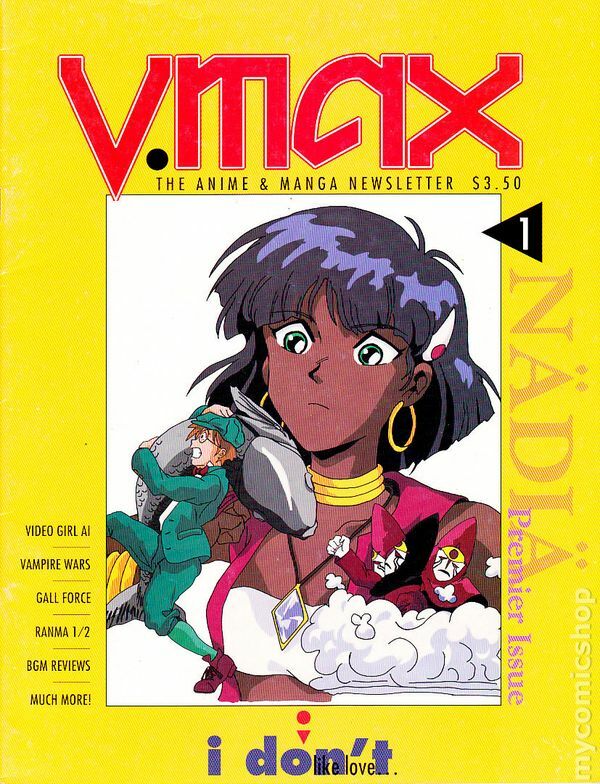 In this issue: Nadia, Video Girl Ai, Vampire Wars, Gall Force, Ranma 1/2, and more. 8-1/4 in. x 10-7/8 in. ; black and white; 24 pages on good quality white paper. No date (circa early 90s). Cover price $3.50. "The anime and manga newsletter." 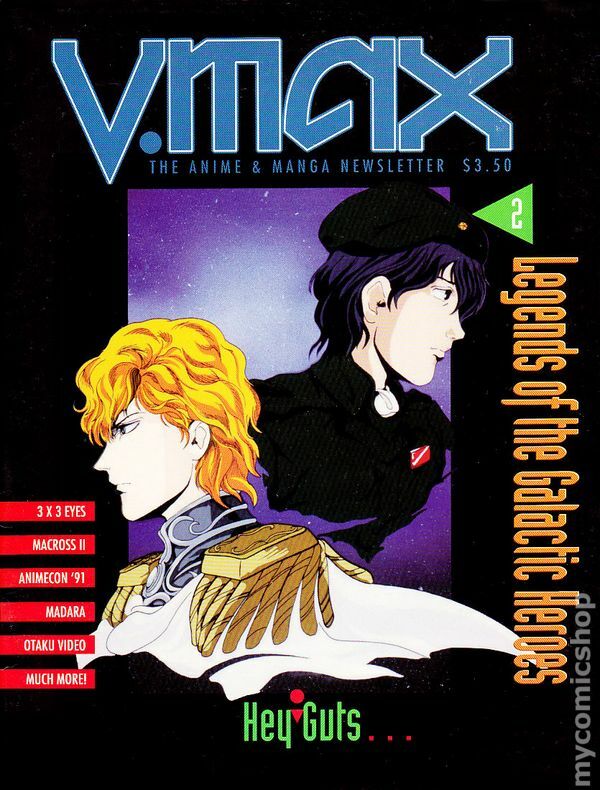 In this issue: Legends of the Galactic Heroes, 3 x 3 Eyes, Macross II, Animecon '91, Madara, and more. 8-3/8 in. x 11 in. ; black and white; 32 pages on good quality white paper. No date (circa early 90s). Cover price $3.50. "The anime and manga newsletter." 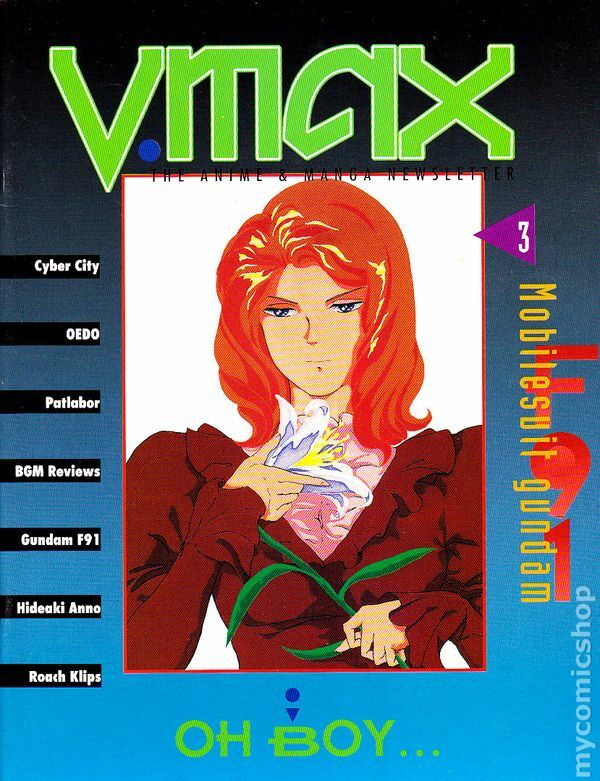 In this issue: Mobilesuit Gundam, Cyber City, OEDO, Patlabor, Hideaki Anno, Roach Klips, and more. 8-3/8 in. x 11 in. ; black and white; 32 pages on good quality white paper. No date (circa early 90s). Published 1991 by R. Talsorian Games. 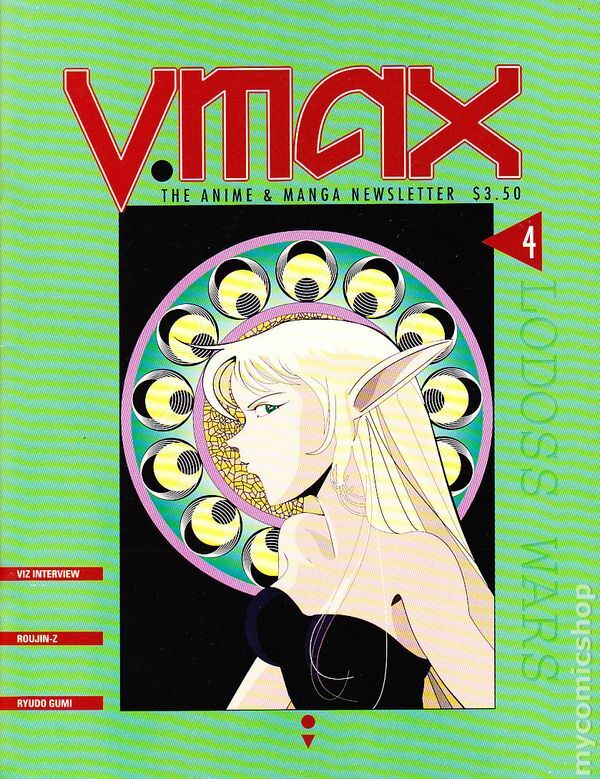 "The anime and manga newsletter." In this issue: Lodoss Wars, Roujin-Z, Ryudo Gumi, interview with Viz Communication's Seiji Horibuchi, and more. 8-3/8 in. x 11 in. ; black and white; 32 pages on good quality white paper. Cover price $3.50. Published 1992 by R. Talsorian Games. "The anime and manga journal." 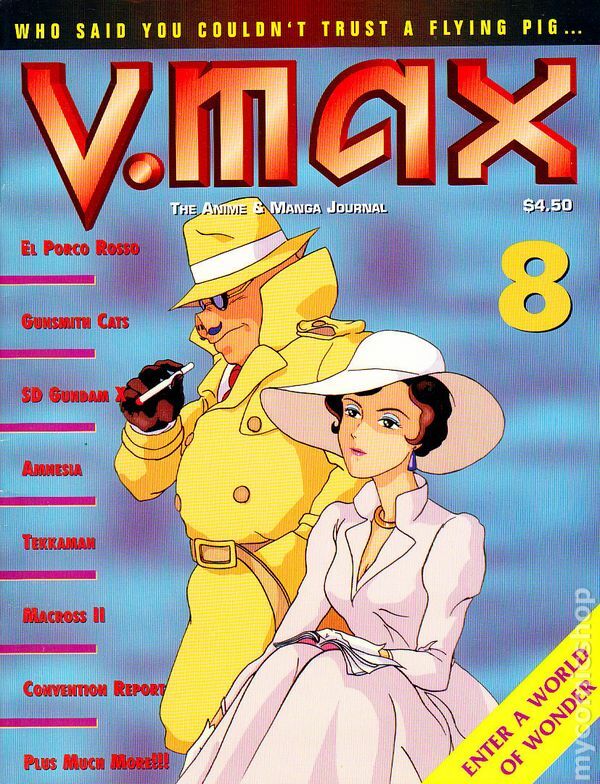 In this issue: El Porco Rosso, Gunsmith Cats, SD Gundam X, Amnesia, Tekkaman, Macross II, and more. 8-3/8 in. x 11 in. ; black and white; 36 pages on good quality white paper. Cover price $4.50.